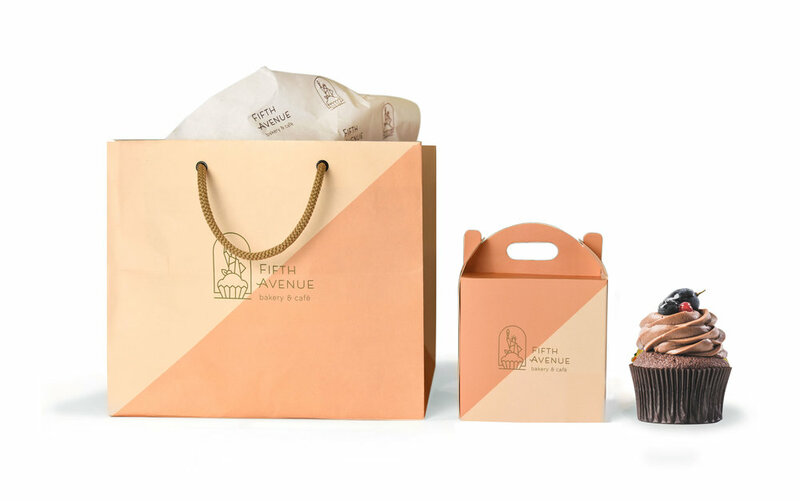 Create a brand identity that embodies the audacious, sophisticated and surreal spirit of Fifth avenue in Gurgaon! 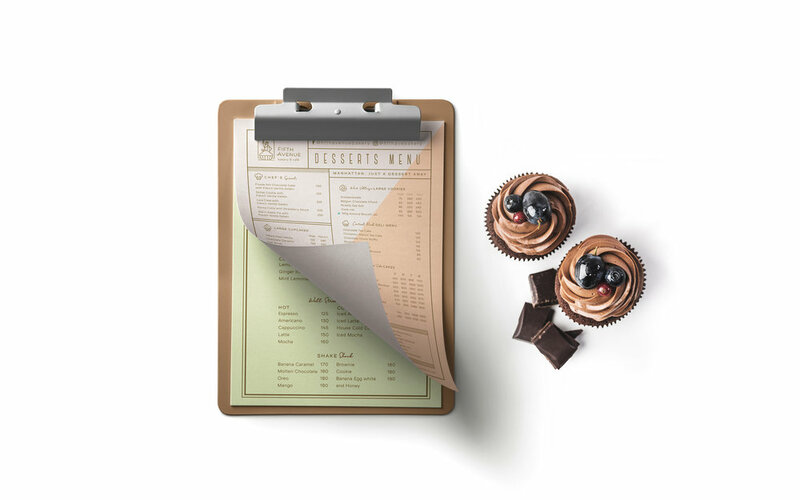 Bringing New York size desserts and flavors of American baked goods to India. “Now you're in New York! These words inspired us to create a space which is a melting pot for people to come and chat, have a coffee and drool over the New York size desserts. We envisaged a pastel fresh, warm and inviting color palette with a pinch of gold to engender a feeling of luxury and minimalism. 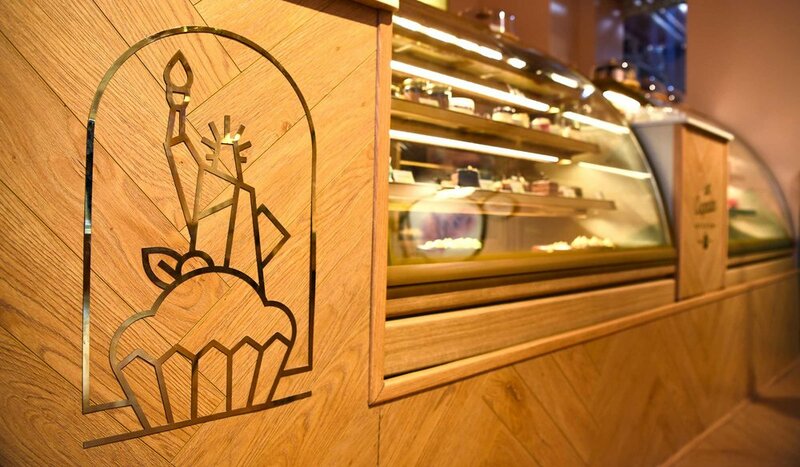 The logo showcases the magnificent view of Statue of Liberty from an arched window while you treat yourself to a giant cupcake. The interiors are designed to give refuge from a hot summer afternoon with shakes and cupcakes or create an ambient winter evening with hot chocolate and brownies.